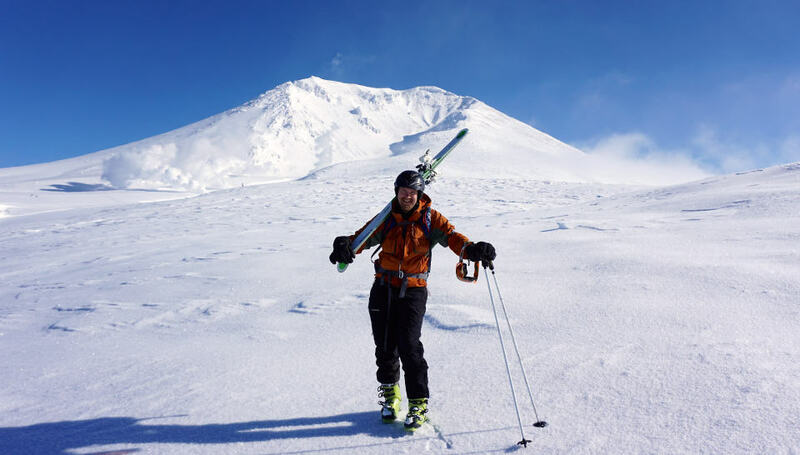 Hokkaido is famous for its powder snow formed from cold Siberian winds blowing across the ocean, when everyone talks about backcountry skiing in Japan the North Island is where they are referring too. The powder is generally dry and deep. 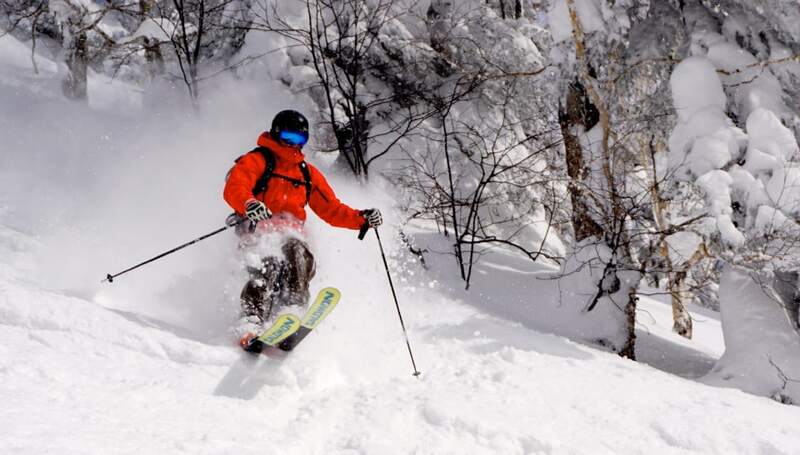 Throughout the years of exploring the backcountry of Hokkaido Japan we have found the ultimate runs, and we can guide you to the best backcountry skiing Japan has to offer. We will take you to the are to the best zones found. We can also offer trips where we go to ski resorts and guide you off trail to the best lift accessed powder runs making the most of your time on the island. 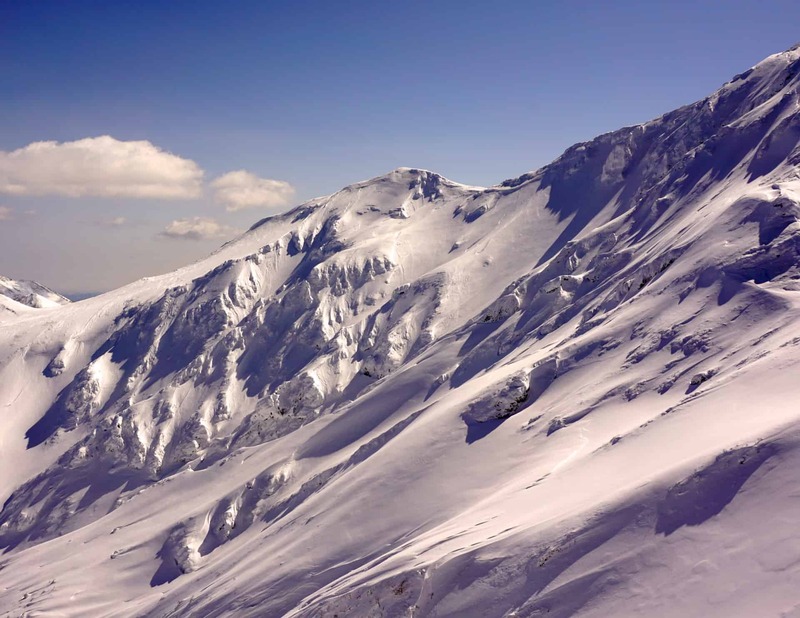 Tokachidake Furanodake and the surrounding areas are full of runs for all types of skiers, boarders, and fitness levels. By keeping track of the latest weather conditions, we choose the best steep and deep runs with the lightest powder the area can offer. After a great day of skinning, snowshoeing, skiing and snowboarding, you can soak your weary bones in the great hot springs on the mountain while checking out the great photos that you took! Nissho Tohge (Nissho Pass) is a high mountain pass (1106 m, 3,629 ft) at the north-end of the Hidaka Mountain Range. It’s fairly close by to HOA and Patrick’s house, so he spend a lot of time there on his own ! It has something for everyone and it’s definitely off-the-beaten-track. You would be guaranteed to be the only foreigners there! Kurodake (Mt. Kuro, 1984m) is located at Sounkyo, situated at the top end of the Daisetsu National Park. It is a spectacular region with big frozen water falls and awesome rock formations; a must-see just for the scenery alone. It does get loaded with wintery weather and the terrain is a little tricky to ride.The steeps are steep and can be pretty tight. The hike to the top depends on the snow pack and weather, but if you’re up to the challenge and you get it right, it’s amazing! Design your own dream tour with the help of someone who knows all the best places in Hokkaido. We can take you to find the best powder, particular terrains, unique features on the mountains, post-ride hot springs, and much, much more ! Let’s plan a tour to suit your group’s size, ability, sense of adventure. *Custom tours are for a minimum of 4 people and are privately guided tours to all parts of Hokkaido. 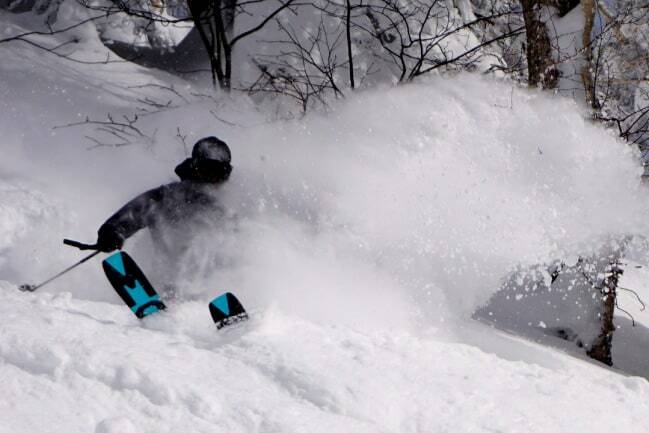 Ninja Powder guides will supplies the following (if required) ・Transport ・Guide ・Smiles all day and the best powder lines ! Backcountry skiing in Japan is perfect for everyone who is addicted to full on adrenaline, epic adventures in the most satisfying runs! 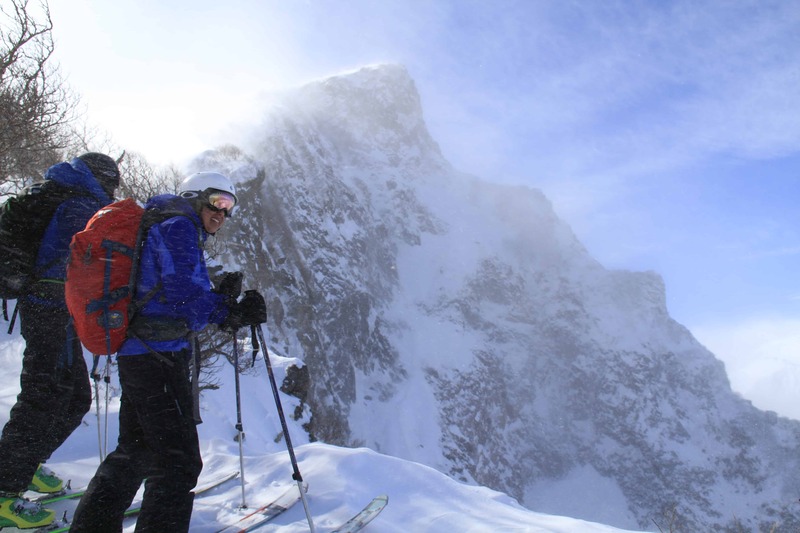 Backcountry skiing or also known as off-piste is an increasingly popular form of skiing. Unlike regular alpine skiing where you slide down the groomed trails, in backcountry skiing you’re going to ski on natural trails on un patrolled areas either inside or outside of ski resorts. Backcountry skiing gives you more freedom to explore wider range, sometimes well kept secret trails if you go with the right guides. 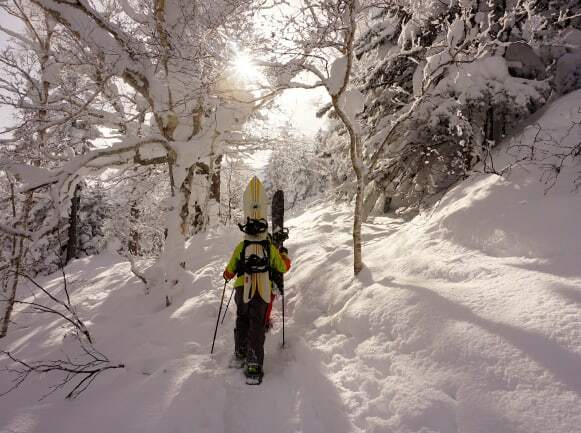 There’s no other place bretter to do backcountry skiing than Japan – a well-known sanctuary for snow powder poachers around the world, where 4 of most snowy cities in the world are located. It’s guaranteed to be fantastic! Backcountry skiing undoubtedly requires more efforts and just like other adventurous activities, it comes with its own risks. However, you’re going to have an adventure of a life time once you understand the right preparation for it. 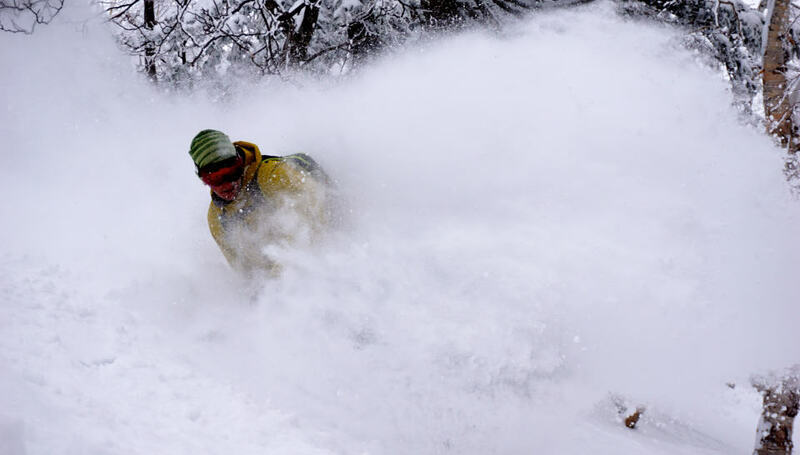 Ninja Powder does and we come fully prepared for all situations and have the experince an knowledge of the backcountry to let you have your day in your way safely. Since you’re gonna bring some important self-rescue gears, you’d need a correct backpack which designed to specifically carry skis. They will enable you to carry a lot more comfortably, stabilize your ski gears, keep them from swinging around and overall very comfortable for you to wear. Backcountry skiing always involve travel over the snow and climbing skins will help you get around easily, especially when you can’t access the road with your ski boots due to deep snow. Climbing skins are strips which you attach to the bottom of the skis and can be removed when you go downhill. The skin has sharp surface, it’s directional and it grips when you’re climbing uphill with the skis which enable you to go up hill or cross the hill to gain access to the runs you have in mind using your skis or snowshoes. Another essential gears that you need to bring is a collapsible shovel. A shovel is needed to dig yourself out when you’re buried under the snow and the collapsible feature makes it easy to carry. Our recommended shovel is a metal blade shovel with a straight blade on it to allow for snow observation pit. Avalanche transceiver is a kind of radio transceivers which serve purpose of finding people or equipment under the snow. This transceiver is a critical tool to get yourself found during critical situation. It’s also very easy to use, even though it still requires a fair amount of practice. In addition to the above, it’s also necessary to bring avalanche probes. The gears work similarly with tent poles, they extend to 6, 8 or 10 foot length which makes it easier for you to probe the surface and quicken the rescue process. Avalanche probes also require a little bit of practice to use. Sometimes emergency happens and we don’t know if our backcountry skiing can be longer than expected. In these kind of situation, it’s important to also carry an emergency warm layer, first aid kits, extra food extra water, means to make fire and a multi-tool to fix any kind of gear problems that might arise.